This game was released in April 2003 (NA/JP). Let's get this out of the way and say that SDD had the best video-game promos of all time. 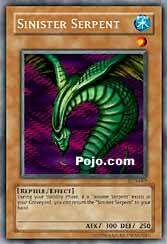 Harpie's Feather Duster and Sinister Serpent were both competitive cards. The former for its costless spell/trap removal that could even -3 the opponent. The latter, since it recycled itself and alleviated discard costs, provided lots of card advantage as well. Both get easy 5/5's. Valkyrion the Magna Warrior was an olive branch toward anime fans to balance the ticket. Really hard to summon and barely worth it. 1/5 for Valk. Onto the game. 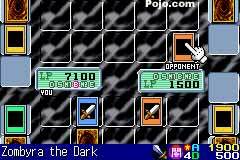 Much of the gameplay elements and the engine is borrowed from Eternal Duelist Soul, but the card pool is expanded to include Pharaoh's Servant and Labyrinth of Nightmare cards. One thing to note is that this is the first YGO portable game to add a story. You maneuevered throughout a city with a cursor, stopping by random people for a conversation or a duel. 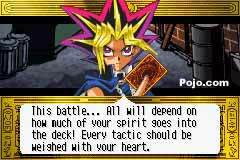 You dueled your way up the ranks, won the tournament and fought against Marik. Decks were often faithful to their anime counterparts (for example, Odion's deck uses a lot of traps, even if many of the traps he used in the anime weren't out yet). Sometimes there would be wierd choices. 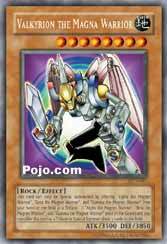 Mai (a winged-beast duelist) had a LV5 normal DARK Fiend-type monster in her deck for absolutely no reason, except maybe to slow down her deck's consistency? Otherwise, the advancement in storytelling, new cards and other mechanics made this the definitive version of its time. The sweetspot. 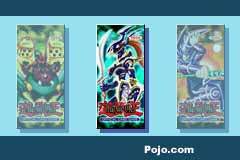 The refined third entry, but also before the giant wave of YGO games which would raise the question of quality control. 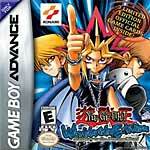 Konami of America, Inc. today revealed a brand new title in the mega-popular Yu-Gi-Oh!™ series of videogames, Yu-Gi-Oh! 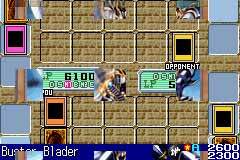 Worldwide Edition: Stairway to the Destined Duel for Nintendo Game Boy® Advance. 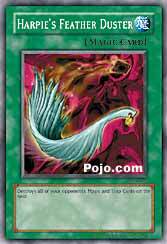 Slated for release on April 15, 2003, Worldwide Edition: Stairway to the Destined Duel will ship with three limited edition Trading Game Cards inside the game box; Harpie’s Feather Duster, Sinister Serpent and Valkrion The Magna Warrior. 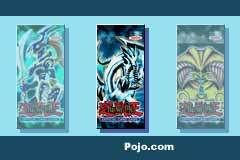 Worldwide Edition is the most faithful re-creation of the Yu-Gi-Oh!™ Trading Card Game, featuring over 1,000 game cards and updated Trading Card Game rules. 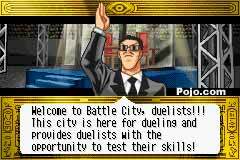 The first handheld Yu-Gi-Oh!™ videogame to feature a single-player adventure mode, Worldwide Edition brings players to Battle City, an exciting metropolis that plays host to the ultimate Yu-Gi-Oh!™ tournament. Players will progress through the game by visiting various neighborhoods, interacting with city folk, and challenging characters from the TV series to win the championship. With support for English, French, Spanish, German, Japanese and Italian, players from around the globe can now link up and compete against one another. Players can collect cards from over 20 kinds of booster packs, import cards from the official Trading Card Game or trade cards with friends in an effort to build an unbeatable deck.